Another year to Christmas but party is not over! 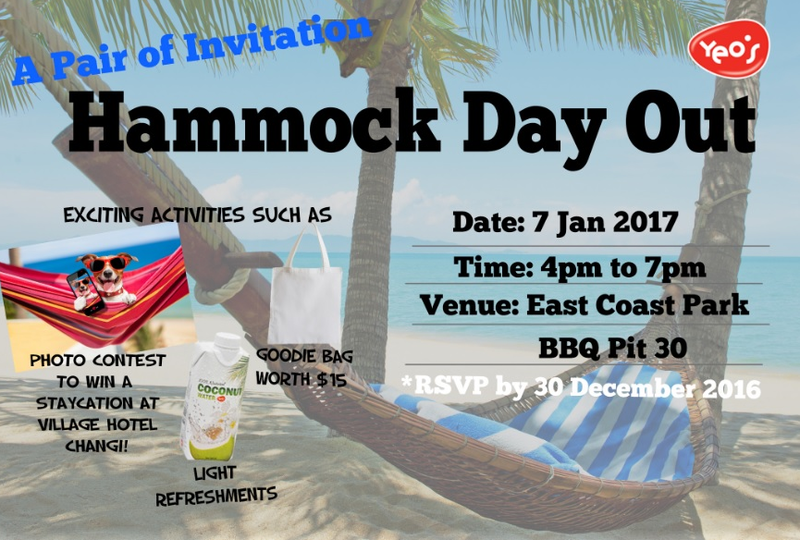 Here is Yeo’s throwing a Hammock Day Out event! I have 5 pairs of passes to be given away. So block your calendar upfront. Contest ends : December 30th , 2016. This entry was posted in event, Singapore and tagged Yeo's. Bookmark the permalink.